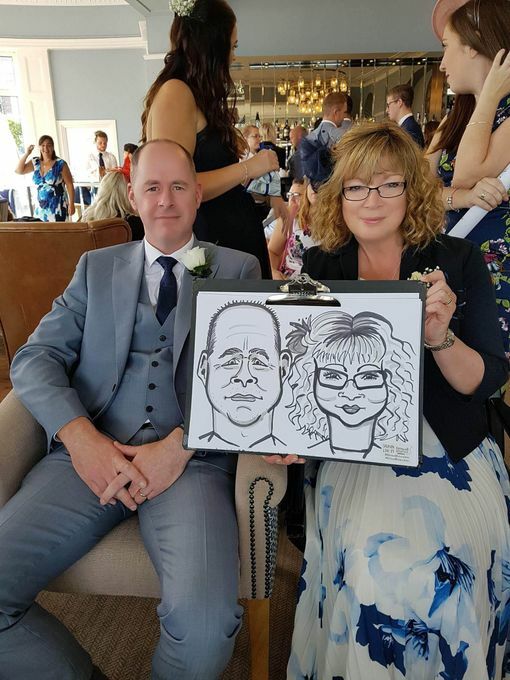 Voted Cornwall's best Wedding Entertainer*, Cornwall Caricatures provide quick-fire caricature portraits drawn live in under 5 minutes per person. 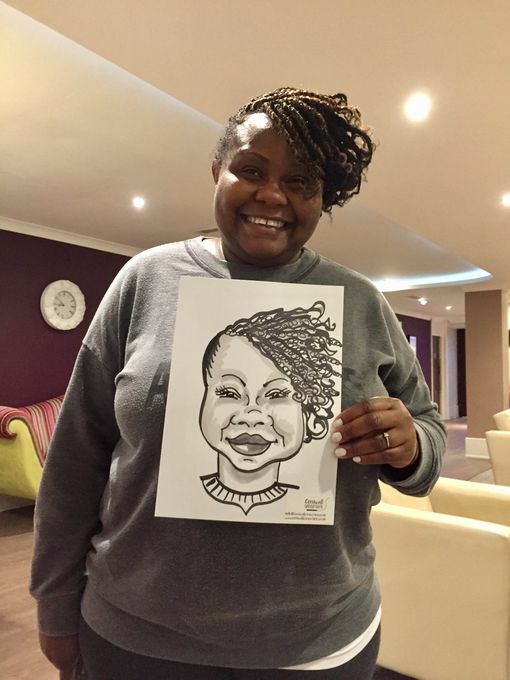 Using a range of black and grey pens, Cassie's caricatures create laughs and giggles aplenty for not only those being drawn, but the crowds that gather in awe to watch the likeness take shape. 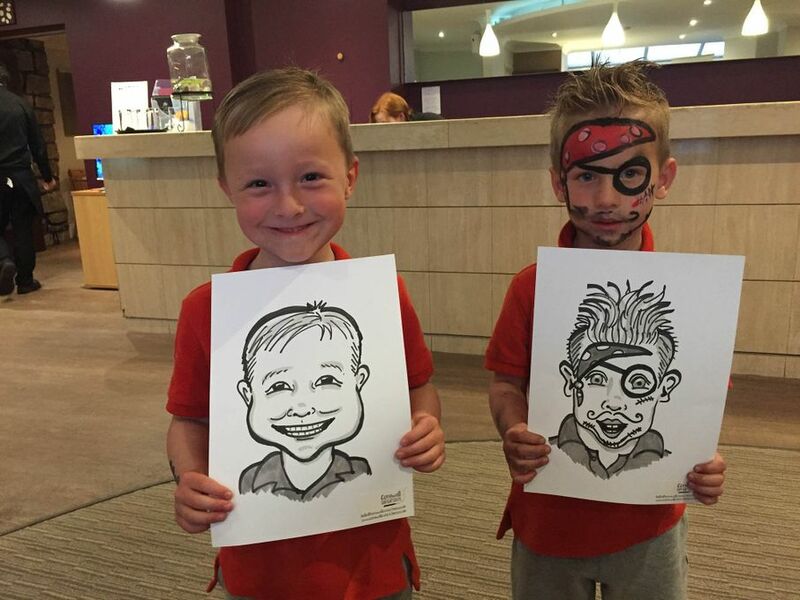 Cassie has been described as 'The Kind Caricaturist' with a portrait style taking the perfect mix of exaggeration and flattery that subjects love. 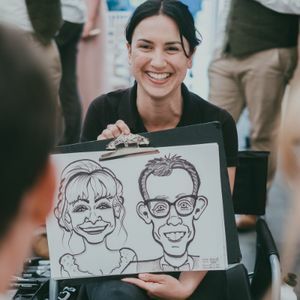 With a bubbly personality that puts her subjects at ease, Cassie can draw either mobile at the table, or create a seated caricature area to keep your guests entertained. All of Cornwall Caricatures' Facebook reviews are 5*, and the testimonials from happy customers speak for themselves. Cassie was such a friendly and warm person - I was worried that guests would be nervous to see what she was doing and to have their picture drawn - but she was so fun and approachable that guests were queueing up for it. All of our guest commented on what a great and different thing it was to have to as entertainment and how great Cassie was as a person and an artist. I would highly recommend her ( and I do) to all my friends and family for weddings and any other function! No time at all - Cassie brings her pens and loves the surprise of new faces to draw on the spot! 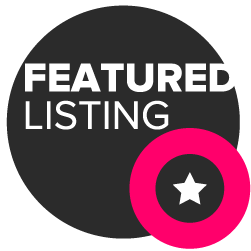 Cassie can be booked anything from 1.5 hours, right up to 6 hours, but most couples tend to go for on average 2 hours for the daytime slot, or 3 hours for the evening slot. Cassie provides all pen, papers, her own fold up chairs for herself and 2 guests. All she needs is enough room to fit the 3 chairs and away she goes! All guests get to take home their caricature free of charge. All pictures drawn within the time frame are included. 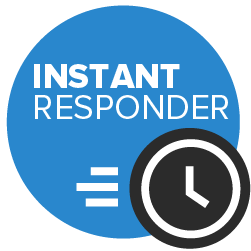 Cassie will arrive on site to set up 15 minutes in advance, so the time you book is solid drawing time and she will work as fast as her pen will go! 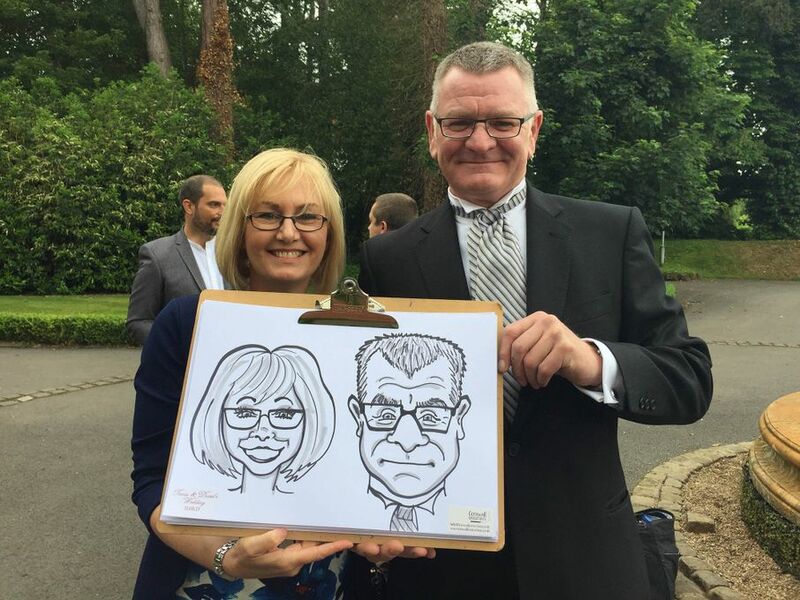 Optional extras include personalised stickers for the corner of each caricature with the couple's names and wedding date, and you can also purchase protective cardboard tubes to keep the caricatures safe.